I have fallen in love again. I recently switched from Blackberry to iPhone and was mildly impressed with the usability of the iPhone for business. TELUS provided me with the new Blackberry Z30 and an opportunity to visit the TELUS Learning Centre to learn how to use the device. As any business person knows, life is fast! Trying to learn a new device can be frustrating and almost impossible when juggling business and family. This was my situation with the Blackberry Z30. For Blackberry 7 and before users, the OS 10 is a complete new experience while maintaining excellent business organization with an interactive swipe home screen. If you are a previous Playbook owner, the Z30 will be easier to maneuver as the OS 10 swipe and window options are much the same. At first glance, I was impressed with this device. After a month, I use only this device to get me through the day. 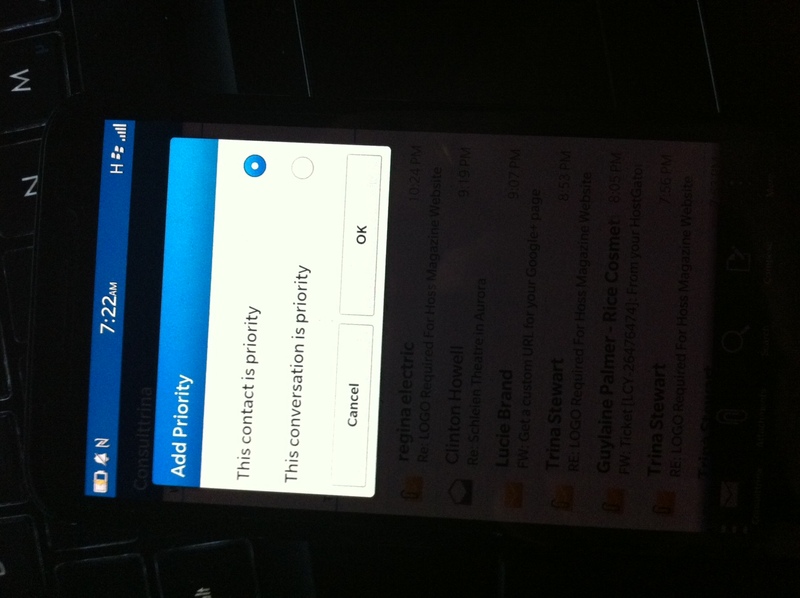 Blackberry 30 priority settings for email and social conversations. TELUS invited me to visit the Learning Center to learn about my Blackberry Z30. The learning specialist, Jeff Sutherland was located at the TELUS store in Limeridge Mall in Hamilton, Ontario. I came prepared with the following questions. Q: I heard that there was a way to separate business and play on the Blackberry 10 operating system. How does this work and will it be a chore to switch? A: This can only be achieved with Blackberry Enterprise. l email accounts? I would like them on my desktop for easy access. A: No, but the TELUS representative showed me how to swipe more efficiently to access the Blackberry Hub. Q: Is there any way to access the camera without unlocking the device every time? A: Yes, by holding down the camera button while waiting for it to load, the camera application will initialize. Q: What is time shift and is there any benefit in using this with my business? A: Time shift is not a business benefit but it is an amazing feature when you’re taking impromptu photos. Q: How do I set priority to my priorities rather than assumptive priorities? A: By holding down the email, you can adjust the priority settings by conversation or contact. Q: What apps do you suggest to maximize my on-the-road business experience? A: We chatted a bit about Android applications and “pushing” them in. I have yet to sit down and figure it out. We both agreed that Evernote is a stellar application that is available on all mobile and tablet devices which makes it very easy to move from the Blackberry to the iPad. 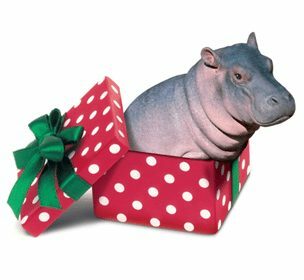 I was recently at a client’s office and for whatever reason, he needed to send me something on his Smartphone. He became agitated because it was a new phone and he struggled with the simple process. At the end of the day, especially for a surgeon, we need our Smartphones to be simplistic because time is of essence. We have all been there! This is where the TELUS Learning Specialist really helps! I was highly impressed with Jeff’s knowledge of the device. He made the struggle of understanding a new Smartphone a lot easier which permits me to spend my time where it should be spent during the day. Overall, it was worth the 45-minute drive to learn about the Blackberry Z30. TELUS is honoured to offer one-of-a-kind Learning Centre Sessions this holiday season (and all year round!) to help customers get the most out of that new smartphone or tablet they found under the tree. Located in more than 200 TELUS locations across Canada, Learning Centres provide personalized, one-on-one training and guidance from TELUS Learning Specialists, who can cover anything from basic device functionality, through to helpful tips and tricks for the most advanced user. Customers get the best first experience with any device thanks to TELUS Learning Centres! The 15 to 45-minute sessions are complimentary, and can be booked online or in-store at TELUS. Group Learning Sessions – In-store, focused on specific devices or operating systems. Online Learning Centres – Snowed-in? No problem! Customers can also visit TELUS’ online support site to learn how to use common features, watch educational videos, and find troubleshooting help specific to their device.